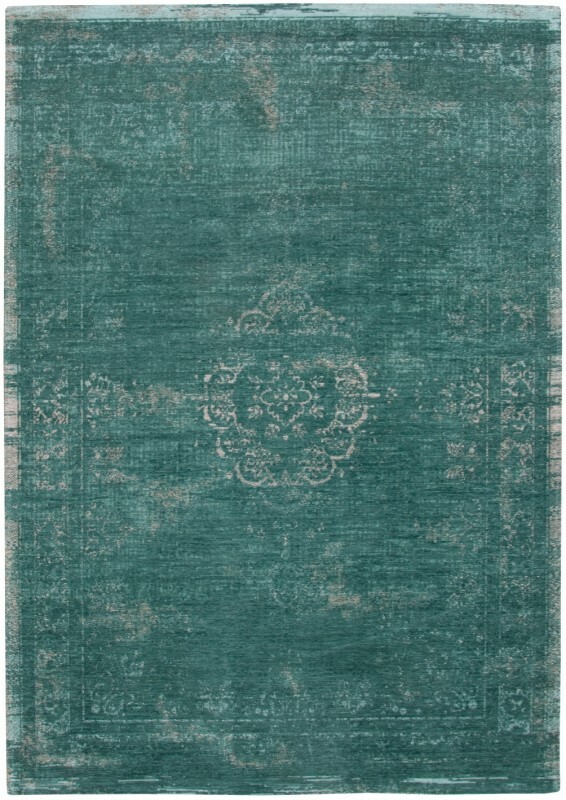 The Fading World rug collection by Louis De Poortere, Jade 8258 design. 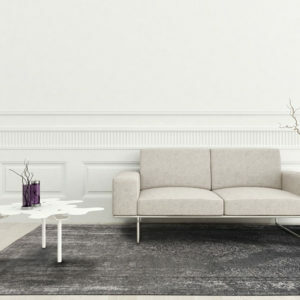 A collection of designer tapestry’s made to meet the demands of today’s interior decor needs. Fading World features unique jacquard weaving techniques, made from a mixture of the finest pure wool and cotton chenille. 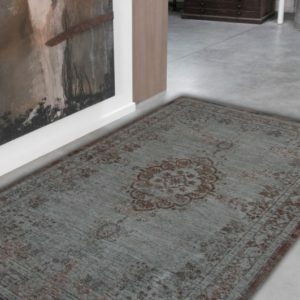 All rugs in this range have an overall weight of around 1300 g/m2. This collection is woven to a flat construction. 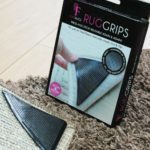 This means a total height of around 7mm, so there ideal for areas that requires a thinner rug. 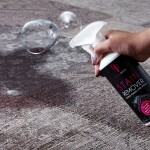 Fading World rugs feature a unique anti-slip backing with is virtually invisible. 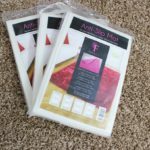 Now available in hallway runner and large sizes. Please allow 7-10 days for delivery. 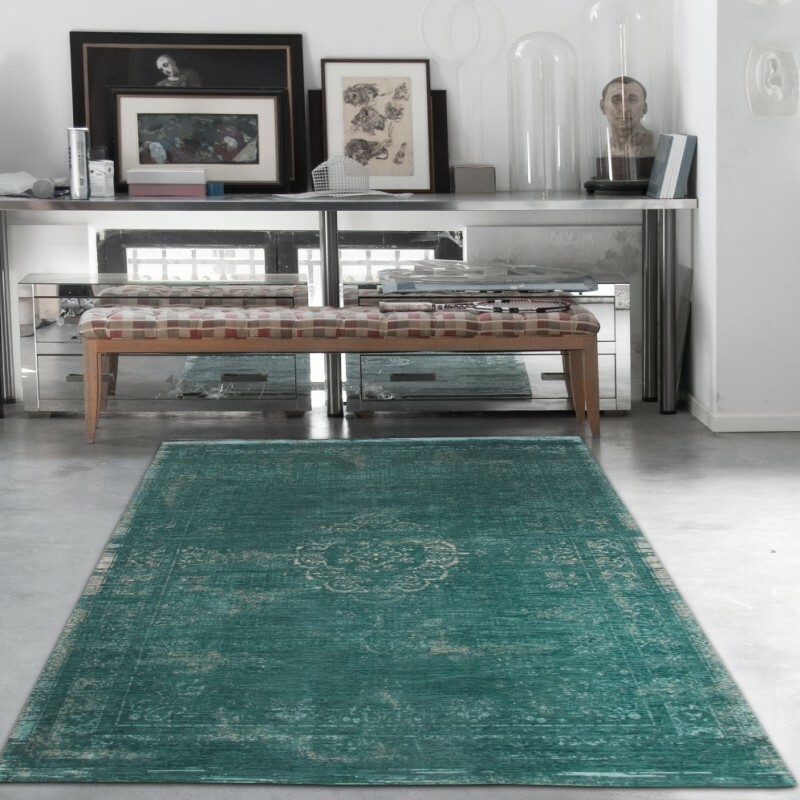 Similar rugs include our Cameo and Vintage collections.